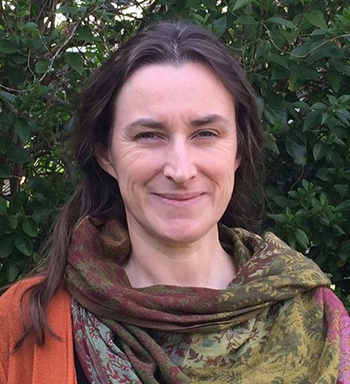 My name is Marie Pembridge, and I am a funeral civil celebrant based in Gloucestershire. A funeral marks a significant event – the end of a unique life, the loss of a person, the crossing of a threshold. Imagine a singular event, created with care, weaving together the colourful strands of a life, to express the true nature of the person, giving voice to the loss felt by the community of all those who loved them. This is a funeral with heart. 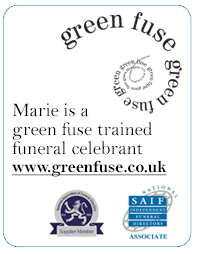 My role as a celebrant is to work with you to create the most appropriate funeral ceremony for the person who has died. I will meet with you in the comfort of your own home – or another venue of your choice. I will work alongside you, listening to your memories of the person who has died, to help you create a funeral ceremony which weaves together everything needed to truly remember and honour them. An individual ceremony that will be both the celebration of a distinctive life and allow the mourning of a loss. I will compose and conduct an appropriate, well-structured and imaginative ceremony. The person who has died will be the heart of the ceremony. I will support you in carrying out as much of the service yourselves as you feel able to, and I will liaise with other professionals to ensure everything runs smoothly. I will help you to find poetry, readings and music, and other personal touches to make the funeral unique. Ceremonies can take place in a wide range of venues, from your own home and garden, to a village hall, a woodland glade, as well as the more traditional crematorium and burial ground. I can work with you in all of these venues. I can help you with creating meaningful ceremonies for scattering or burial of ashes, and memorial services. Also, if you are thinking ahead – even many years ahead! – and would like to explore options for a funeral service, I can help you with this too.